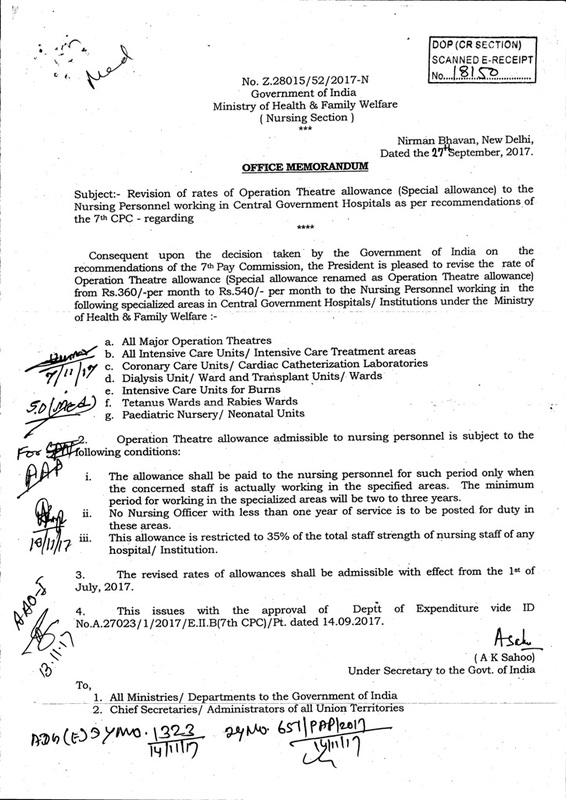 Subject:- Revision of rates of Operation Theatre allowance (Special allowance) to the Nursing Personnel working in Central Government Hospitals as per recommendations of the 7th CPC - regarding. 4. This issues with the approval of Deptt of Expenditure vide ID No.A.27023/1/2017/E.II.B(7th CPC)/Pt. dated 14.09.2017.